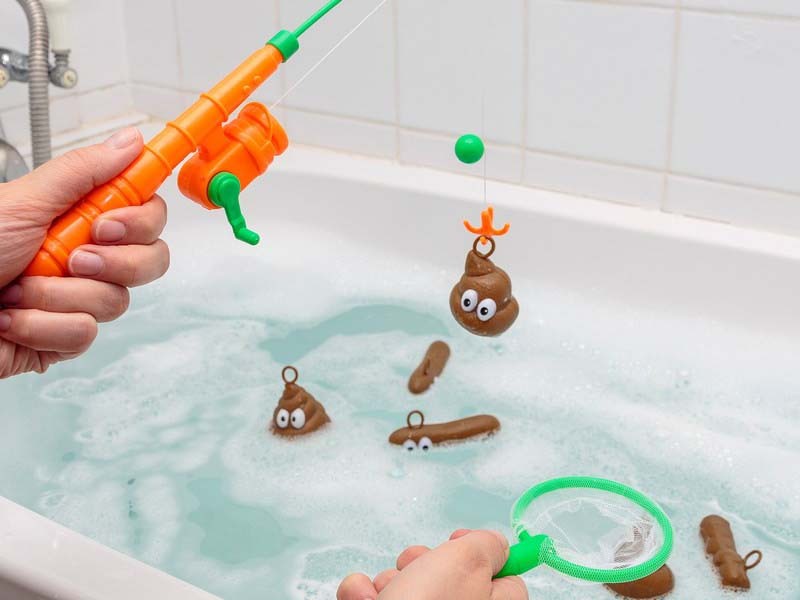 We all remember fishing for ducks at the carnival. 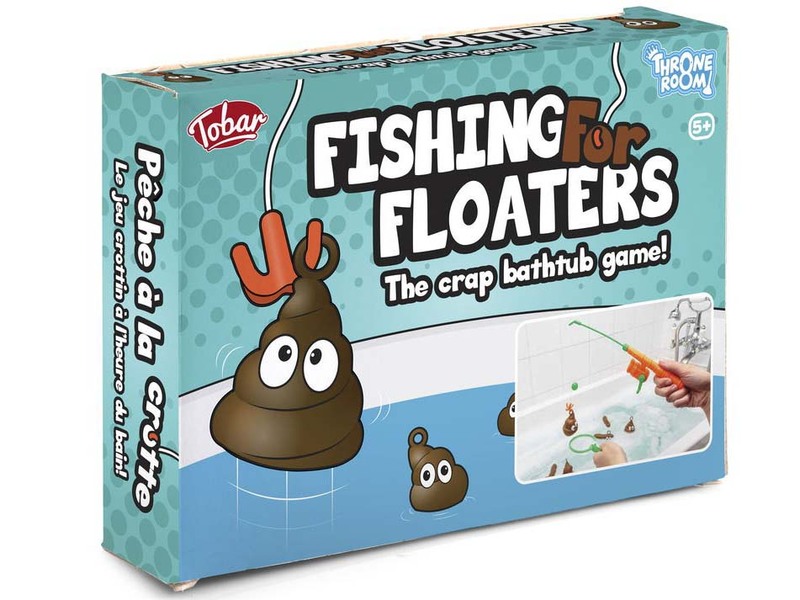 This game uses that same format, but with somewhat less adorable floating things. So you better call the Poo Patrol! 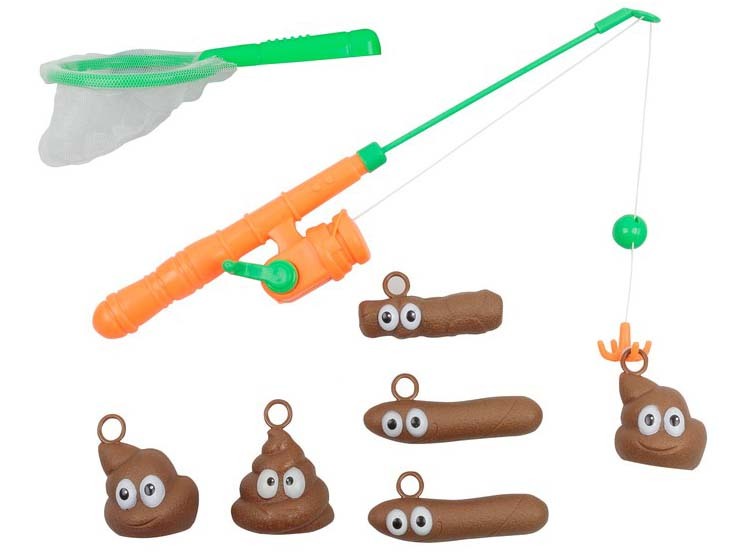 Fish these six pieces of poop from your bathtub using the rod and the net. And make sure you don't lose yourself in their adorable eyes. 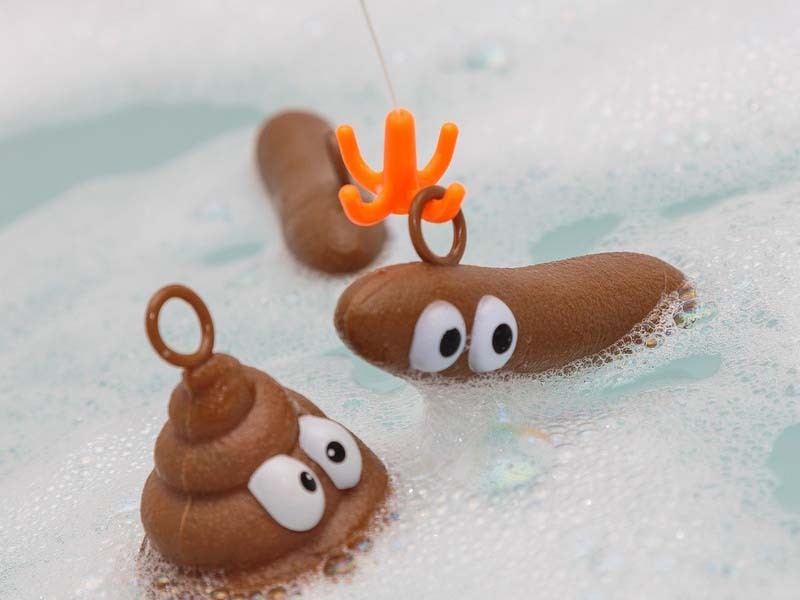 Turdtastic fun!